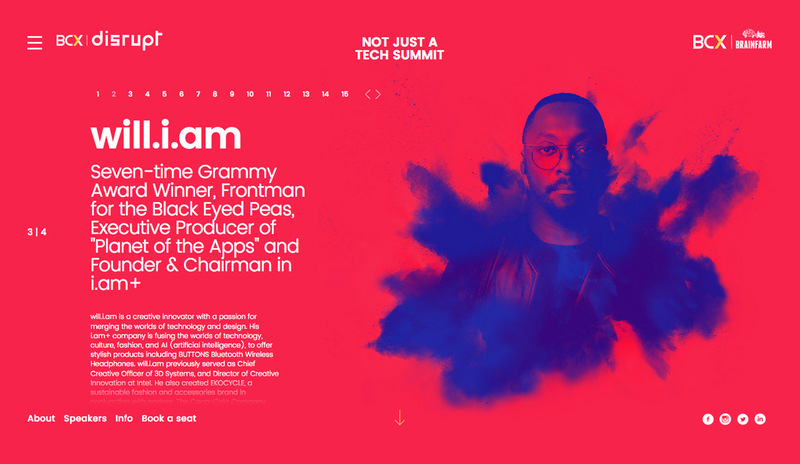 To build buzz around their highly anticipated tech summit, set to feature a host of heavyweight speakers including Malcom Gladwell, Deon Chang and will.i.am, BCX needed a visually electrifying and vibrant microsite. 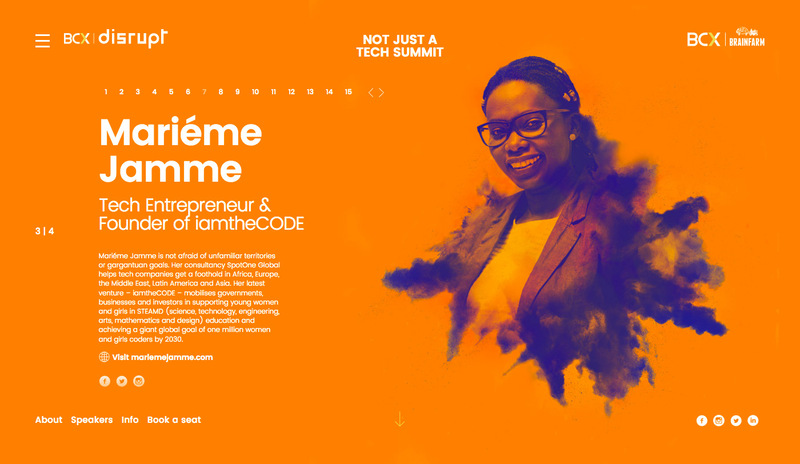 As well as being dynamic and exciting, the site needed to be practical, with easy-to-access information about the event, speakers, and bookings. Client had chosen a very specific design before Brave was brought on board, so the first challenge was to apply a more UI-centric overview to the wireframes to make them more web-friendly. Following that, a delicate interplay between multiple clients and agencies resulted in numerous changes along the way. Our solution was to take the lead in terms of the web interface, putting long-won experience at the helm to bring the microsite in on time, looking perfect. 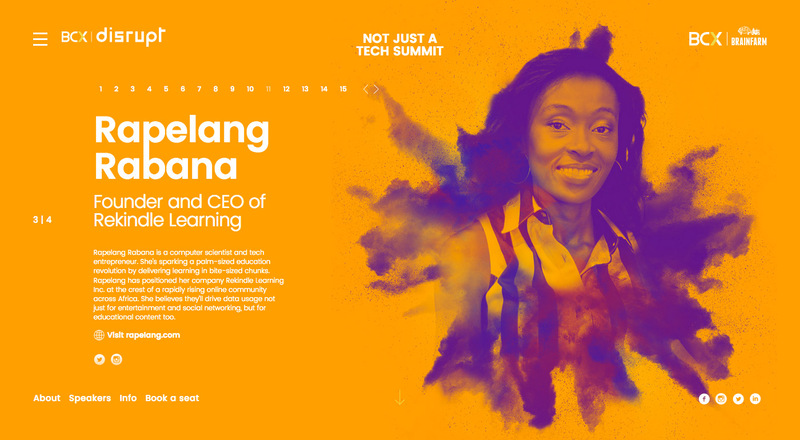 The result was exactly as the clients were hoping it would be: a visually dynamic and unique online presence for a summit like no other. 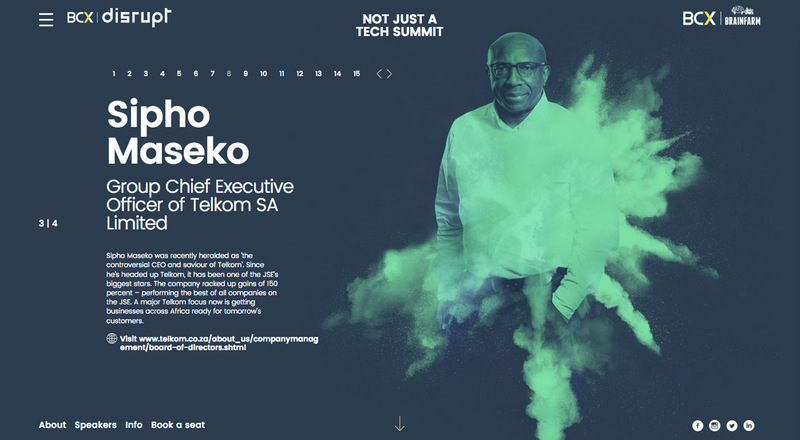 The hero component of the site was the full screen background video, which needed to change colour tints as the user navigated throughout the site. To rise to this challenge, we dove deep and discovered the world of Pixel Shaders, and added a bunch of shiny new skills to our toolbox.